Over the weekend I attended the #EngageBali Social Media Summit by Socialbakers, held at the Grand Hyatt in Nusa, Bali. #EngageBali was my first Social Media conference and I was really excited to attend and learn some new things, meet some social media professionals and enjoy the luxurious surroundings of the resort. I flew in late on Thursday night, and was lead through the expanse of the resort to my room. Wow! We really were learning & networking in paradise! Friday was our day of workshops. I had downloaded the Engage Bali app and after much deliberation signed up for “INCREASING YOUR SOV – HOW DUAL BRAND STRATEGIES CAN INCREASE MARKET SHARE” with Holly Stewart from Seek for the morning session and “FACILITATING DIGITAL TRANSFORMATION THROUGH SOCIAL MEDIA INTELLIGENCE” with Olivier Girard from Digimind for the afternoon session. I picked up a free bubble tea and headed to my morning workshop. Holly is clearly very knowledgeable about Social Media Marketing and the focus of the session was using a Dual Brand Strategy. For the non-marketers reading, this means creating or acquiring a secondary brand as a strategy to help you maintain share of voice (market share) that wouldn’t necessarily appeal to your main brand. Think of Coke and Mount Franklin. Coke know not everyone drinks Coke, but they can still drink Coke brands when they’re drinking water – ie. Mount Franklin. They maintain market share, it doesn’t hurt the main brand (not sure if anything could in this example) and they can reach new audiences who would have dismissed Coke. There are some challenges involved in running a dual brand strategy. The main one is not to cannibalise the main brand in building the secondary one. But we’ll get back to that in a bit. Seek is a transactional brand. People looking for work go to Seek to find job ads. So who are their target demographic? EVERYONE. 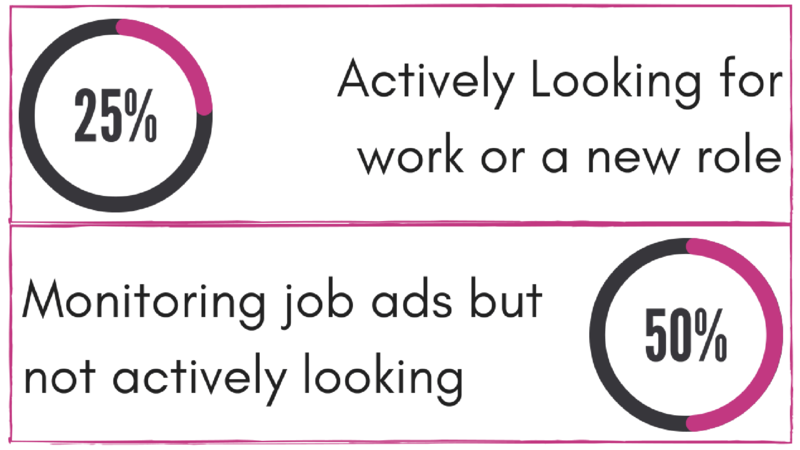 So at any given moment up to 75% of people are looking for work! To further complicate this: Low skilled jobs are easy to fill, and high skilled jobs much harder to fill she said. Makes sense. Traditionally Seek has been among a small field in the online jobseeker realm and has occupied 80% of the market. A great place to be for a brand! But they were starting to face increased competition from new players. How would they maintain their share of the market? This is where the dual brand strategy comes into play. How does the Dual Brand Strategy Work? Since people wanted to make sure they were getting all the available information users were looking at more than one job site. Seek had to make sure they weren’t losing ground to one of the others that “scrapes” jobs from all over the web. They stopped these scraping sites being able to access Seek – so if you visited them, you could get all the other jobs – but not the ones from the biggest jobs marketplace and would have to look there separately. Seek introduced JORA, their secondary brand. JORA was able to scrape the job websites, but it also had access to the Seek.com jobs – meaning it had ALL THE JOBS, which when you’re job hunting is what you want. One site to rule them all. But you can’t just launch a secondary brand on a whim. Your brand has to be ready. Listen before you launch! She said that with 30b pieces of content fighting for your attention in the newsfeed, it’s not easy to gain attention for your brand. In Australia 1 in 3 internet minutes belong to Facebook owned sites (Facebook, Messenger, What’s App, Instagram…) and that a dual brand strategy can help open up new segments. It was all about mapping your customer journey, and using what data you have to either include or exclude potential customers. I think this is where we lost some people. So here goes – you can use the data your brand has to grow your supporting brand through targeting and exclusion. If you were a bank and someone had been to your main site to look at credit cards (which would know because of the segmentation set up on your site) you could target them with a credit card offer from your supporting brand. Then follow them through the customer journey, making sure the secondary brand is seen as the alternative voice at each touch point through the journey. You’re drowning out your competitors, and with this the chance of losing your market share to them decreases. Pretty simple concept, right? 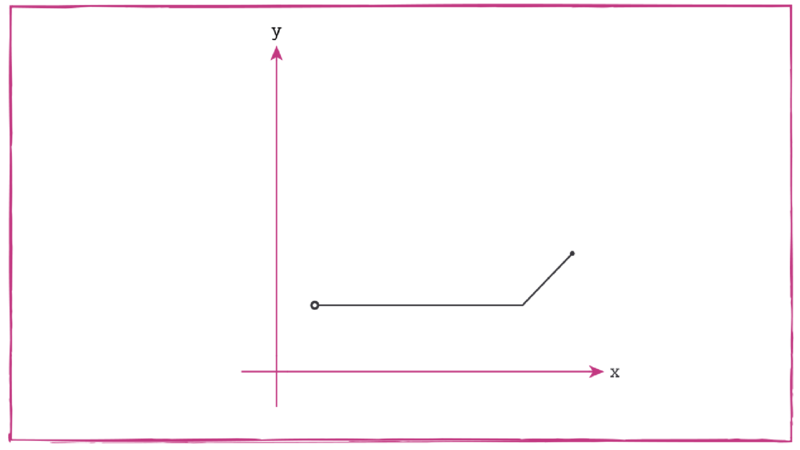 It’s a bit more complicated to implement – but the idea is a simple one! You can see the slideshare of Holly’s presentation HERE. After Holly’s presentation we moved on to an exercise in groups where we came up with a strategy using what we had just learned to create a pitch for the brans we were allocated, which was a good way to cement the learning. I learned a lot from this session, even though I don’t currently work with any multi-brand clients – to know how one group of marketers can go about finding market segments is always interesting! And the negative targeting, and the workflows associated with this process means it’s a well established method in Seek’s repertoire, which we can assume means if set up correctly it works! What I also found interesting was seeing how diverse the APAC region is. Although I think Australia is still an emerging market for Social Media, with many brand still resisting or implementing their strategy like it’s 2012, there are some people (like Holly) obviously leading the pack too. But we’re very different from Asia! Their population density means they have huge audiences that devour content and these content machines need to be fed! Some of the small teams in attendance had audience numbers and publishing schedules that would make an Aussie marketer choke! Morning session done, we headed to lunch, and the hotel had not let us down! After lunch (and another bubble tea) we proceeded to our afternoon sessions. As I mentioned in the beginning – I had chosen after much deliberation on the Digimind session about Data Intelligence. I did not find this session as in-depth as the morning session, and think it was more of an overview of what Data Intelligence is and a little bit of background. Digimind is a tech vendor, Olivier said, and has been in business for 18 years. That’s a lot of listening! 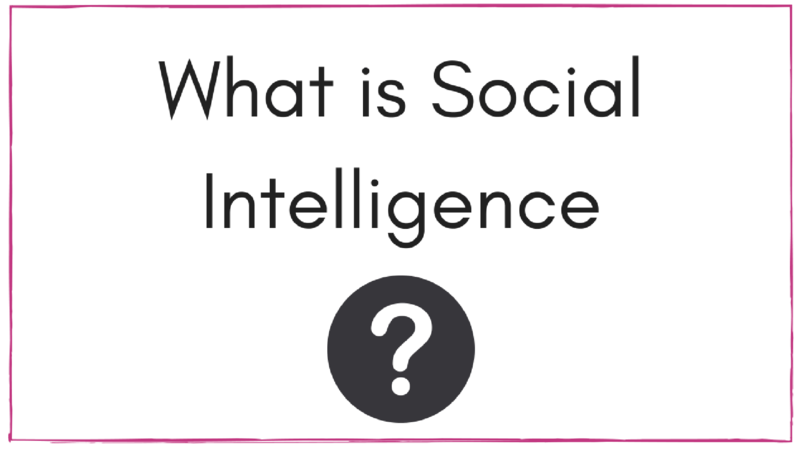 So what is Social Intelligence? There’s a huge amount of data on Social Media that can be used to identify trends and support marketing teams. But there are also many challenges. Anyone, anywhere – so much data! 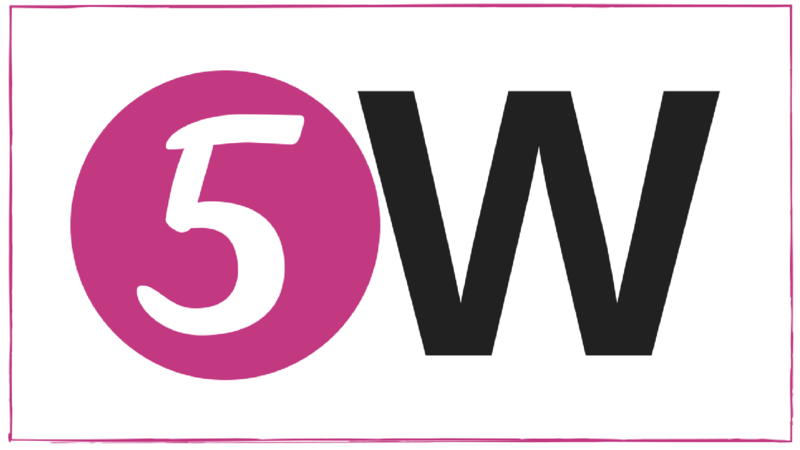 All demographics – who are you looking for? What is their “digital maturity” how tech savvy are they? He said it was better to interpret data from a diverse base to be able to see the data from different approaches. If it’s one person’s responsibility they’ll be more engaged. They are not hackers! There’s a limit to what they can access. So, what can be measured? Something else I got from this session; whether you engage and the success of your engagement in crisis management is not only based on your content, but timing! Olivier gave an example of how 2 brands that supply the same product fared in a crisis management situation. One brand chose to engage. The other decided to wait it out. Surprisingly the brand who did not engage came out unscathed. Now I do how some hesitation that ignoring crisis’s is ever a good idea from a Community Management point of view, but you can’t argue with data! Again there was a workshop to reiterate the learning. You can see the slidershare of Olivier’s presentation HERE. There was some networking, where I met up with Helen Cripps from ECU (who I had previously met at an SMPerth event), Sasha from Fanfare Media, and Matej and Claire from Socialbakers, among others. But the structured part of the day was done. I hope you enjoyed this first instalment! It’s been fun digesting it all and sharing it with you! Stay tuned for Part Two – where I’ll get into the main event. I can’t wait to share with you the speakers insights! When you have the brains behind the Social Media of brands like LEGO, NASA, Canon Australia, MGM Hotels, Cathay Pacific and more – plus businesses who’ve achieved success by an in depth understanding of their audience, like Go Jek there’s no way you can’t pick up some valuable insight!